Many of you may have never had the opportunity to taste an artisan cheese crafted in Croatia until this month, and we’re extremely excited to be the ones to share that experience with you. Turns out that one thing which consistently surprises and impresses visitors to the country is that there are a number of cheese producers in Croatia that produce world-class cheese. 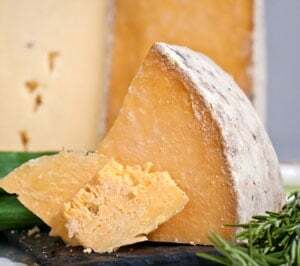 In fact, Croatian cheesemaker Paška Sirana racked up four awards at the 2017 World Cheese Awards, one of which was for Paški Sir, their aged sheep’s milk cheese featured this month. Paska Sirana is the oldest cheese manufacturer on the island of Pag, just off the coast of Croatia in the Adriatic Sea. The vision of Paška Sirana’s founders enabled hundreds of families to survive on this harsh island rock where only a few herbs grow, and the company’s presence and influence is in every aspect of the island’s culture, and is clearly a big part of Pag’s identity. 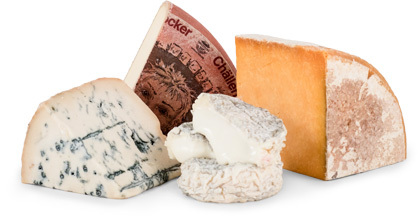 It would be fair to state that Paški Sir is the most famous of all Croatian cheeses currently being produced. It’s crafted on the island of Pag exclusively using milk from indigenous Paška Ovca sheep, 15% of which comes from Paška Sirana’s own herd. The dairy collects milk from 2500 low-yielding sheep (1/2 L per day), which feed on the salty grasses scattered throughout the rocky, windswept land. It takes milk from about 10-12 sheep in order to make just one 1 wheel. Most of the vegetation eaten by the sheep producing the milk used to make Paška Sirana is naturally salted by the winds that sweep over the nearby sea water, depositing it all over the island. The end result is a savory salinity that’s nicely balanced by the natural sweetness of the sheep's milk. As the cheese ages 12 months, the paste becomes drier and more condensed, offering praline-like crystallizations. Sweet notes become more pronounced with aging, bringing out butterscotch tones. Look for a lingering salty, savory tanginess, reminiscent of a long-aged gouda like L'Amuse. If you care to enjoy it as Croatians do, serve it simply drizzled with a high-quality olive oil. It can also be shaved over salads and eaten with cured meats and stone fruits. It will pair ideally with dry Croatian red wine like Pelješac, or other dry reds like Merlot or Cabernet Sauvignon.